Wingspan 50.5 (68)", Depth 25.25 (33.75)"
Stripes are fun and mindless! 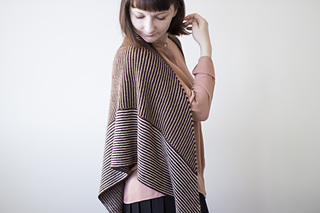 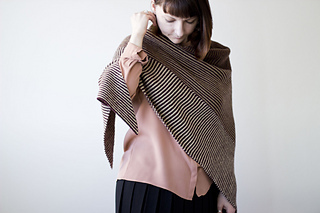 This garter stitch striped shawl is worked in one piece using modular construction. 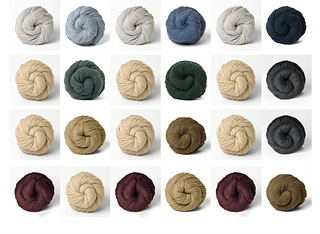 The ombré effect is achieved by working sections of main color together with one of the 3 colors in the palette. 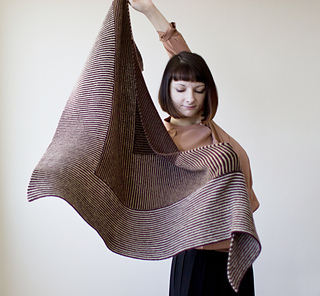 Transforming the resulting fabric into a bold graphic wrap! 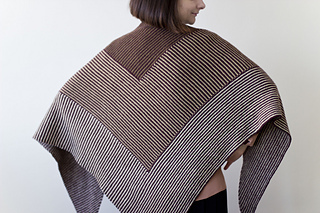 We recommend using CC1 to swatch because the shawl requires every last bit of MC. 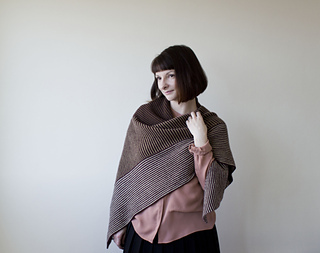 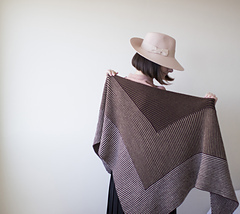 Shima Shima Shawl Pattern was originally available for free from Fibre Space during Metro Yarn Crawl April 1 - April 10, 2016 with your purchase of Woolfolk Tynd yarn. 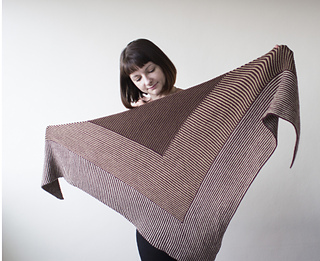 This pattern has now become available online to general public as of April 11, 2016.